The items on this page are not toys and are not suitable for small children. on the shopping cart and receipt. Use your browser back button rather than the "Continue shopping" link. that has 1:36 scale rafters depicted on the laminated top and bottom surfaces. spaced 24" on center and the bottom has rafters with 18" spacing. classic comp mount, and also rail-free racking systems. 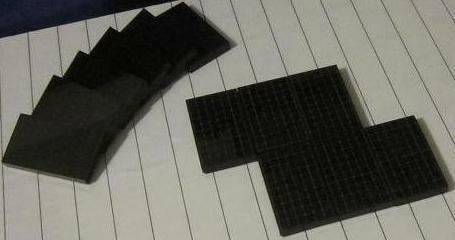 Twelve 1:36 scale model 60-cell black-on-black PV modules are included. and have magnetic backing for use with the training box. 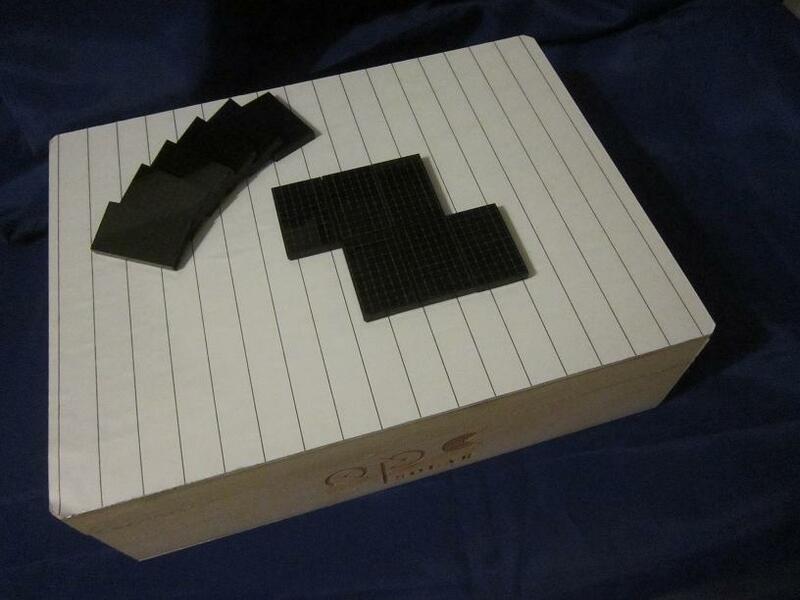 Extra sets of 12 modules are available separately (see below). Size approx. 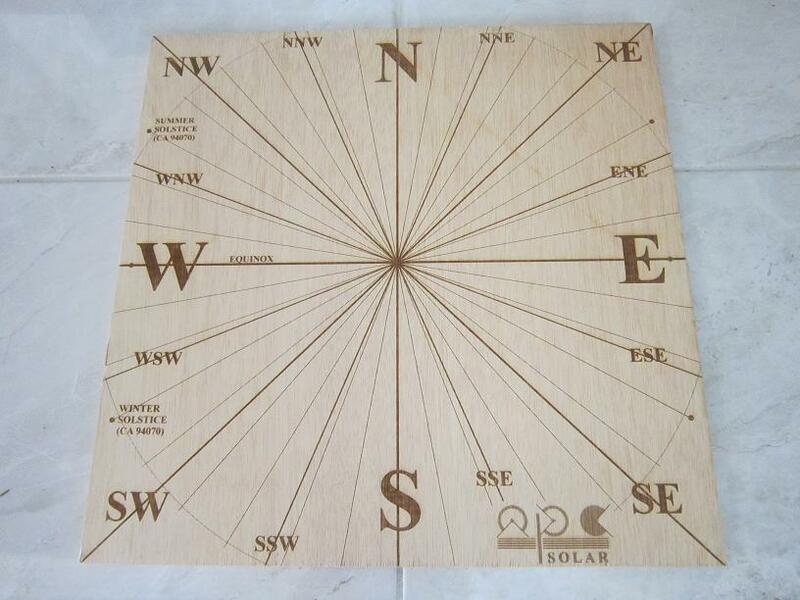 9 1/16" x 11 15/16" x 3 3/8"
for use with the npc Solar training box. in the classroom or in customer presentations. Size approx. 1.1" x 1.8"
made from 12mm thick sanded plywood. N, S, E, W, NE, SE, SW, NW, NNE, ENE, ESE, SSE, SSW, WSW, WNW and NNW. It also shows 10 degree incremental angles for the full 360 degrees. It is also marked with "EQUINOX" and also the position of "SUMMER SOLSTICE" and "WINTER SOLSTICE"
for our home location of CA 94070. Size approx. 14 7/8" x 14 7/8"